resistant to puncturing and tearing. Carpets are a big investment. Under normal circumstances, a lot of care and money goes in to keeping them clean and undamaged during construction, remodel, moving and more. 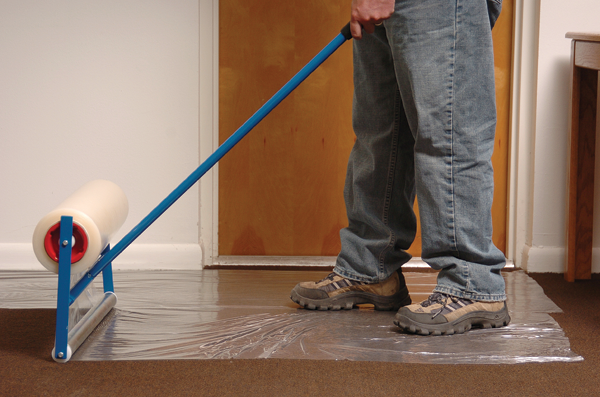 When looking to shield carpets from harm during construction or remodeling, you will need our polyethylene carpet protection film to do the job right. . It self-adheres to carpeted floors and stairs keeping them free from dirty foot traffic, oil, fluids, mud, and paint spills. Once you lay down our carpet protection product, it can be left in place for up to 45 days while you complete your project. Carpet protection films keep debris, unexpected spills, and tracked dirt off any carpeted surface during the varying phases of remodeling, painting, construction, or moving. It can also be used to protect the carpeted floors of cars, boats or RVs. Electro Tape’s wholesale carpet protection film is made from a durable 3 mil polyethylene film that has a high resistance to puncturing and tearing from work boots, tools, and dollies. All rolls are reverse wound for easy application, like unrolling a carpet, and compare favorably to Carpet Shield and Carpet Mask protection film brands. The specially formulated adhesive creates a non-slip bond with carpeting that is easily removed once your project is finished. It is also skid-resistant which allows it stay in place and eradicates creasing and tripping hazards associated with drop cloths or plastic tarps. This product is not recommended for vinyl or hardwood surfaces. If applying by hand, instead of a dispenser, roll out a few feet at a time while smoothing over to ensure a firm adhesion. When you reach the wall, use a sharp knife to cut the carpet protection film and bend back the seam to make it easier to find the next time. When carpet protection film just isn’t enough, we do offer other options. 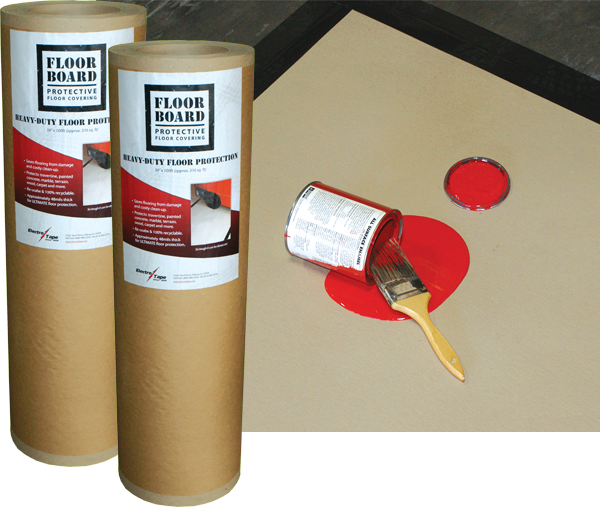 When you need heavy duty protection or protection for lengthier projects, consider Electro Tape’s FloorBoard product.